International educators and quality, pre-screened student recruitment agents from Mexico, Colombia, and Central America. The 7th annual ICEF Mexico–Colombia Agent Roadshow provides international service providers with the opportunity to meet quality, active student recruitment agents from Mexico, Colombia, and Central America, as well as educators from all over the world. This event is split between Mexico City and Bogotá, offering participants a one-day event in each location. As this event sells out every year, interested parties are advised to book early to avoid missing out on this fantastic opportunity. Agents attending the roadshow come exclusively from Mexico, Colombia, or Central America, providing a focused opportunity to establish firm links in these markets. All agents attending are carefully selected and are required to pass ICEF’s strict screening process. Agents must provide multiple references from current business partners, as well as proof of ethical business practices. In Latin America, personal contact is crucial to successful business relationships. One-to-one meetings at the roadshow provide an excellent opportunity for service providers to consolidate existing partnerships and establish new ones with international educators and high quality local agents in these markets. In addition, a number of networking opportunities at lunch times, coffee breaks, and evening functions allow you to develop the social aspects of your business relationships. 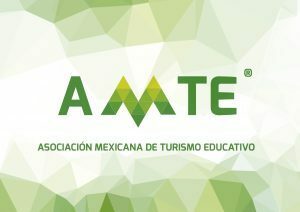 This event is a must for service providers looking to connect, build, and maintain long-term partnerships with agents from Mexico, Colombia, and Central America and educators from around the world. Places at this roadshow are strictly limited. Please note that it is not possible to book only one location. International educators (universities, vocational schools, boarding schools, language schools) looking to meet with quality agents from Mexico, Colombia, and Central America. High quality, carefully-screened agents from Mexico, Colombia, and Central America looking to meet with educators from all over the world. Education professionals seeking to maintain their international contacts and strengthen brand recognition in the industry. Service providers exhibiting products or services to sell to international students via education institutions or education agents. The event enables you to hold up to 38 (19 in each location) pre-scheduled, one-to-one business meetings with quality student recruitment agents, as well as other educators and service providers from around the globe. These appointments are 30 minutes in duration and let you create new contacts and maintain existing relationships. The roadshow programme also includes meals, options for refreshment breaks, and evening functions, all of which offer further networking opportunities. The ICEF Mexico-Colombia Roadshow will take place at two venues, the Hilton Mexico City Reforma and the Grand Hyatt Bogota. The five-star Hilton Mexico City Reforma is conveniently located near the financial and business districts and the Paseo de la Reforma. A 20-minute drive from Mexico City International Airport, the hotel is recognised as the best business-travel hotel in the city, boasting world-class conference facilities. The hotel also features a 25-metre rooftop pool, fitness centre, three restaurants, and a lobby bar. Providing all-round quality, the Hilton Mexico City Reforma is an exceptional location for the first part of this event. The Grand Hyatt Bogota is located 10 minutes from the airport and 10 minutes from the historic centre. Enjoy the best views of the city accompanied by the mountains of the Andes. The hotel also features four dining options, a fully equipped business centre, spa, indoor pool and 24/7 gym facilities. The ICEF meeting booking system (Marcom eSchedule PRO) offers you direct and total control over the types of partners you meet during the event based on their main activity and country of origin. Up to 38 meetings (19 in each location), each 30 minutes long, can be scheduled with agents, educators, and service providers. Prior to the event, you will receive details of all invited agents, educators, and service providers via the Marcom eSchedule PRO online appointment scheduling system. During the event, additional meetings and schedule adjustments can be made through personal contact. Our online video tutorials explain how to get the most from the eSchedule PRO meeting booking system. We highly recommend viewing these videos as soon as the meeting scheduling system opens, around 8 weeks prior to the event. The participant information pack will be published 3 months prior to the event. Learn about ICEF Events, preparing for an event, making appointments and tips for a successful ICEF experience. Learn what happens during an event, including identifying potential partners on site, event etiquette, using the agent catalogue and key questions to ask agents during meetings. Learn about post event follow up. Effective follow up leads to strong partnerships, successful relationships, and a better ROI. Please check the list of Mexican embassies and consulates, where you can apply for your visa. Please check the list of Colombian embassies and consulates, where you can apply for your visa. If you need a visa and require a letter of visa support, please contact cirrgang@icef.com for further assistance. Please note that ICEF can only provide you with a letter of visa support for the duration of the event. 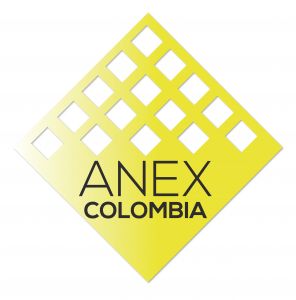 If you do not require a visa, you might still be asked to show documentation regarding the purpose of your visit to Colombia. Please let us know, should you need an informal letter of invitation for this purpose. Please note that flights between Mexico City and Bogotá are not included and must be booked at your own expense. There are several direct flights operating daily between Mexico City and Bogotá. Further information will follow 3 months prior to the event. The ICEF Mexico-Colombia roadshow was a truly outstanding event. The opportunity to meet with top South American agencies has been excellent. The atmosphere was professional and enjoyable throughout.